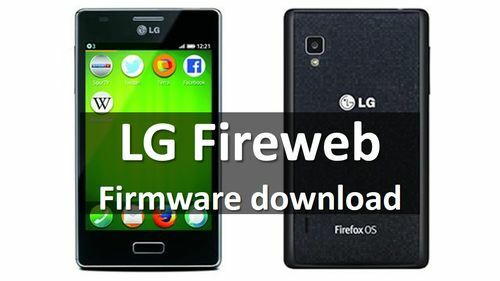 Here you will find links to download LG Fireweb firmware. At first glance, it may seem that it is a fairly typical smartphone, but it works on very unusual operating system. Perhaps you've heard about mobile platform Firefox OS. Four years ago, it was at an early stage of development, but now nobody hears about it. So, LG Fireweb is one of the few smartphones that runs on Firefox OS. This smartphone has a 4-inch display with a resolution of 480x320 pixels, a single-core Qualcomm processor with a clock frequency of 1 GHz, 5-megapixel main camera and 4 GB of internal memory. Design LG Fireweb strongly resembles the budget line of smartphones LG Optimus L Style. On the back you can see the inscription "Firefox OS". All this is interesting, but how to install LG Fireweb firmware? The firmware for LG Fireweb is available in kdz format. You can install them, as on any Android smartphone. There are available two versions of LG Fireweb smartphone: LG D300F and LG D300G. Next you will find links to download them. Good luck with flashing! If you still have questions about LG Fireweb firmware, please write in the comments below. We will be glad to help you.